​Monthly meetings are held the third Tuesday of every month except July and August at the VFW in Hicksville at 7:30pm. Keep up to date by adding the calendar to your phone or computer here. - Next Chapter Meeting: Deposits will be accepted at this meeting for the annual trip to the Riverside on June 7-9. Usually a sell out so make sure to be there! 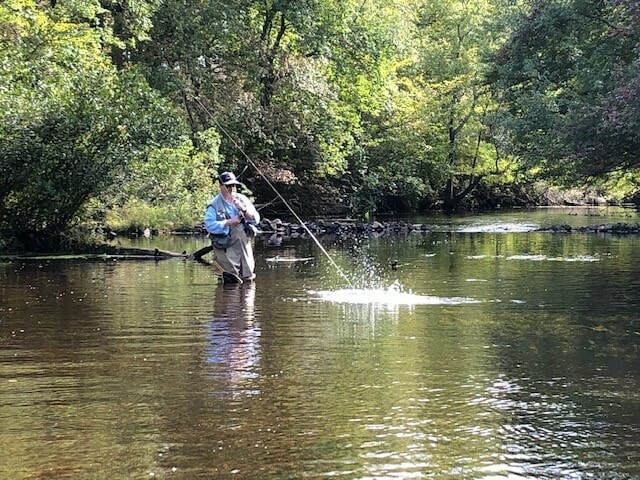 ​Each month of the year except July and August we release recent news, contributed stories, tips on fishing, videos of our latest meetings, and photos of recent fishing trips and cleanups. ​Click The Image For Your Own Copy of the Latest Long Island Stream Guide!